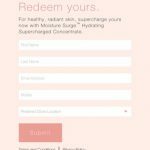 HomeBaby & KidsFREE Drypers Touch Sample Giveaway! Drypers Malaysia Introducing the all-new premium Drypers Touch, with Pro-skin Technology keeps your baby’s skin comfortably dry and healthy! Just complete the form as a Drypers Baby Club member you may request for a sample now! Term & Conditions apply! Drypers Touch is created with 360° Pro Skin Technology; embodied within a completely soft material which comes with a super-absorbent core and super-soft embossed top layer. This extra soft diaper provides ultimate dryness and comfort to your baby. Drypers diapers are proudly made in Malaysia by SCA Hygiene Malaysia Sdn. Bhd.Drypers are produced in Malaysia. They’re proud that our diapers are made by Malaysians for Malaysian babies. Drypers product innovations are also developed locally by their research and development laboratory. They’ve been making Drypers diapers for over 15 years. While diapers have changed dramatically over that time, what remains constant is our commitment to providing your baby with a good quality diaper with good absorbency to keep your baby dry and comfortable. All Drypers diapers undergo a stringent quality control and testing process before reaching your supermarket shelves. All materials used in our diapers must pass SCA Hygiene Malaysia Sdn. Bhd.’s rigorous Product Safety Acceptance tests. Drypers diapers are produced by SCA Hygiene Malaysia Sdn. Bhd. SCA Hygiene Malaysia Sdn. Bhd. is a leading manufacturer of branded baby and adult diaper products. SCA Hygiene Malaysia offers consumers a range of consistently excellent quality products at an affordable price. SCA Hygiene Malaysia’s brands include Drypers Touch, Drypers Wee Wee Dry Newborn, Drypers Wee Wee Dry, Drypers Drynights, Drypers Drypantz, Drypers ClassicPantz, Hey Baby, TENA and Libresse. 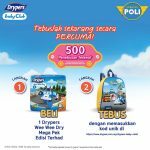 Drypers is the leading baby diaper brand in Malaysia. (Source : TNS Consumer Panel). SCA (www.sca.com) is a global hygiene and paper company that develops and produces personal care products, tissue, packaging solutions and forest products. SCA has sales in more than 100 countries under many strong brands. 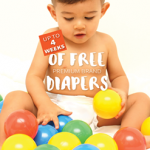 FREE Up To 4 Weeks of FREE Premium Brand Baby Diapers Giveaway! FREE Dypers hand puppet worth 850 points as welcome gift! 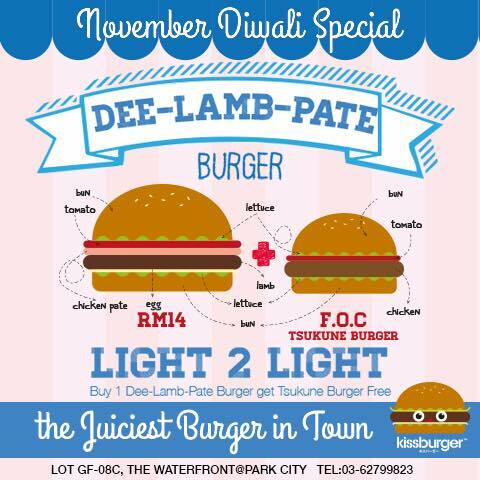 FREE Kissburger’s Tsukune Burger Giveaway! 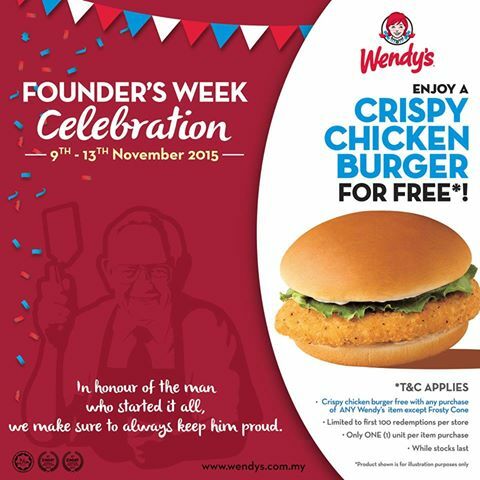 FREE Wendy’s Crispy Chicken Burger Giveaway!